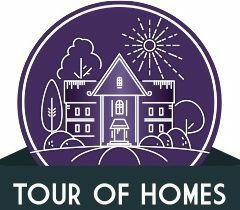 The 2018 Tour of Homes sold out! With seven amazing stops (including the amazing Castle Otttis), attendees saw a great showcase of Vilano while being transported aboard Old Town Trolley. Local restaurants (The Reef, Puccini’s, Beach’s, and Desert First) featured some of their favorite items for guests in Vilano’s old firehouse in the ‘Local Tastes’ feature of the Tour of Homes.